Bail Denied For Nazi Suspect James Alex Fields - Joe.My.God. A judge denied bail Monday to an Ohio man accused of slamming his car into a crowd of counter-protesters, killing one of them, during a white nationalist rally. 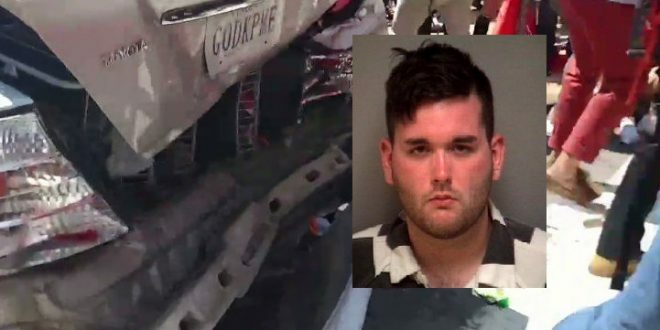 James Alex Fields Jr., 20, made his first court appearance — via video from jail — on charges of second-degree murder, three counts of malicious wounding and one count of hit and run. Derek Weimer, who taught Fields in social studies in high school in Union, Kentucky, told the Associated Press that Fields was fascinated with Nazism, idolized Adolf Hitler and had “deeply held, radical” convictions on race. Weimer said Fields confided that he had been diagnosed with schizophrenia in his youth and had been prescribed anti-psychotic medication. Weimer described Fields as an “average” student deeply into military history and Nazi Germany. It has also been reported that Fields posted Hitler’s baby photo on his Facebook page.